Jib Angles - Do I Have This Right? I have finally equipped with a bunch of good hank on head sails of various sizes and after studying up around here and elsewhere what I get is that my initial jib sheet control points should be in the area I've circled in red. On top of the house pretty close to the mast. You might notice that the existing jib fair-leads are nowhere close to this. And an As ymmetrical being built now. I plan to use twings and such - no tracks, or I would consider tracks that go athwart ships. I just want it to work well to get the best of these sails. I have no desire for furlers at this point. The existing fair lead is in a better spot than the place you are suggesting for a number of reasons. When you trim the headsail the trim is going to be different for each point of sail, for each, and for different conditions, so you will want to have the maximum flexibility. Trimming sails involves both a horizontal component and a vertical component, in most cases you will want the the foot and the leach to be about equally tensioned. The proposed position will not allow this to happen, especially when you sail off the wind. The trim angles are too tight, the sail will stall if it is trimmed to 8° or 10° off centerline. The 14° angle looks about right, which places the fair lead close to the existing position. Your thoughts about using a barber hauler or twing to adjust the sheet angle is good, and a relatively inexpensive way to improve sail trim. However, the fair lead will need to be further outboard and further aft for them to be effective across a wide range of conditions. No need to reinvent the wheel here, where are the fairleads on other Mac 224s? Jib sheeting angles depend on a several things. The fore/aft position will be dependent on the size of the jib (LP) and how high it is cut, as well as your point of sail and strength of wind. Assuming you are going for close hauled positioning, you want to roughly have the sheet point to 40% up the jib luff. I say roughly because the cut of the sail and wind strength will be factors in exact position. This is why you need a fore/aft track to set your jib lead position. It changes based on wind speed. A twing can help with this if you don't have a track, also when you crack off the wind and want to sheet out, move the clew forward. The in/out position will depend on cut of the sail and wind speed. Tweakers help a lot here to move the clew in when the wind pipes up. Keep in mind that you never want the leach to hook in and pay attention to how much back wind you are getting on the main. There is no point sheeting the jib 5° off center if your main has a big belly and won't point closer than 45°. A bubble in the main is acceptable if you have an overlapping genoa, although if your biggest sail is 120% it should be non-existent. If you are building an asymmetrical spin, talk to your sail maker and get his/her advice. Even if your sails didn't come from that loft, you are still a customer and they may have resources to help you. BTW, Sailrite has sail measurements for the Venture 222 https://www.sailrite.com/Venture-222-Sail-Data if this is similar to your 224 it might help with your calculations. The above postings are dead on. You have to look at your problem in 3 dimensions, not two. I assume you have no club, because that could change things. Are you looking to have a self-tacking 85% or 100%, then you are in the right spot for a traveler and a low cut, deck sweeping foot. Do you have pictures to post of your jibs set? Raise them on a windless day and pull the sheet out and check it for position. What angle puts the most even tension on both foot and leach? The leach will pull harder on the sheet because it has the greater leverage from its length, so pull a little harder downward. This changes as the sail is trimmed in. Each sail is likely to have a different position. Can a traveling fairlead accommodate all your sails or will you need two sets of fairleads? I would expect to have on set of fairleads on a traveler for my 85% and 100%. Your Jenny is small enough that you might be able to accommodate that too if your deck layout was right. However, consider a set of fairleads farther aft, right to the middle of the cockpit and use your twings to pull it in. This should give you lots of flexibility to expand to a 150 later on, if you want. I Run a line from 40% of Luff thru the clew of the 80% Jib at 10 Deg and I get the result I have circled on the picture. Doing the same with the 100% Jib puts it just a few inches further to the rear. I don't have any issues with separate points for the 120 Genoa. Topcat, your results don't look like the results GlenL suggests. The image you showed us only suggested a 2 dimensional approach. Where is the clew located above the deck? The example in the GlenL article for a 100% comes much farther aft of the mast than you have calculated. Notice on the elevation view how the sheet angle is slightly more downward than if one had simply bisected the angle of the clew. Their 40% is up the luff from the tack. The position you show looks like it might have been taken as 40% down the luff from the peak. Frankly, it looks to me like it is even steeper. Do you have a drawing of how your jibs are cut? Of how high they set above your deck? The original position is about where the drawing on the Glen-L page says it should be. I am recalculating, you guys are getting me on the right track I think. the boat isn't in the cards for a few days. Here's a simpler approach. With whatever jib/genoa you have up, for trimming closed hauled (pointing as high as you can into the wind), slowly point the boat into the wind so that the leading edge starts to luff (curl). The lead for your jib/genoa sheet should enable the leading edge of your sail (the luff) to break at the same time from top to bottom. If it breaks on the upper half first, then your lead is too far aft. If the sail breaks on the lower half of the luff, then the lead is too far forward. If the sail breaks at the same time all the way up the luff, then you have the correct position for the jib/genoa lead. Of course, a lead (or block) on a track is important so the lead can be adjusted easily and quickly. If the wind pipes up, and you wish to depower the rig some, then you can move the lead aft some so the wind breaks up high first, which will spill wind up high and that will help depower the boat. If the wind increases too much, then you have to consider a smaller jib or maybe reefing the main, etc. With a larger genoa, the lead obviously will be further back on the track. After falling off the wind you don't need to adjust the lead on the track, but you need to create a nice slot between the main so that the leaches (trailing edge of the sails) match. This is accomplished by easing off the boom vang increasing the twist in the mainsail to match the natural twist in the jib/genoa. Asymmetrical spinnakers are adjusted and trimmed based on the velocity of the wind and the boats angle in relation to the wind. You can't sail too deep with an A-kite like you can with a spinnaker with a pole. So, you have to drive the boat to weather to increase the apparent wind. Once you find your course, you ease off the sheet until the luff (leading edge) starts to break. When that happens, the trimmer just pulls back enough to eliminate the break (or luffing). Most A-kites have two control lines that adjust the luff: the halyard and the tack line which might go to an adjustable/retractable sprit, or to the stem head fitting of the boat. As you sail closer to the wind (and you can sail a lot closer with an A-kite verses a spinnaker with a pole) then you need to tighten up the leading edge by pulling up on the halyard and pulling down on the tack line. As you fall off the wind, the sail needs to be opened up some so the halyard is eased. When there are wind gusts that vary, the trimmer, on a race boat, will call out to the helmsman to head up or down based on the pressure the trimmer is experiencing. If the pressure is too much, the helmsman is instructed to fall off. If the pressure decreases, the helmsman is instructed to head up. Hope this helps. As you have discovered, the position of leads must TOTALLY factor in the cabintop design of the boat. On 90% of sailboats, the optimal lead position is on the sidewall of the cabin! Not too practical. 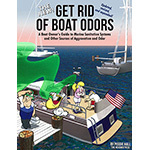 Cruising boats design the cabin FIRST, and then put the tracks/leads where ever they can. In general, a boat will benefit from inhaulers if the track/lead is on the side deck, and outhaulers if it is on the cabintop. 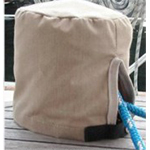 Floating leads can work well for headsails, if ONE is used or the range of LP% is small. Otherwise it will be out of adjustment range. Your asym will have its own blocks, back near the transom. Your sail maker should have designed the sails with some notion of where to sheet the sails ON YOUR BOAT. Who cut the sails, have you talked to them? What did they plan for you to do? Also, if you reach, you would take the same sale and sheet it outboard of where a close-hauled (or beating or pinching) tack would be best sheeted. When you reach, the same sail should have the lead moved outboard and slightly forward vs. beating. Jackdaw, I think I've read where you have said that these smaller head sails should be able to sheet in at max 8 Deg. Others seem to think that's excessive. I have modeled all of my headsails in 3d now and the results aren't that different than my original posting....yet. Unfortunately access to the boat is limited at the moment. This old rag in the pic has been essentially my main head sail for the past 7 seasons. The new 120% I don't like to use, it hits the chain plates upwind. I have to work that out also..
Yeah my sail maker should have done some things, I was disappointed. Still am. Great product - service was.......well They have a great rep on this board though...lets just leave it at that. Huh. I just dumped my long-time sailmaker for this exact reason. I do not believe optimum close in sheeting angle is absolute. Not the least of it has to do with the ability of the hull to work with that angle. You have a range of wind speeds, foretriangle relationships to the main, etc. If you have a performance hull, and only really use the jib (or whatever) for narrow angles, wind speeds, and sea states, then I think one might generalize. Considering the low cut of your jib clews, it does look about right, but performance is the tell. The 80% still looks a little too forward to me, but again, got to test it. Guys, how about a reality check here. Yes, it good to sail your boat at optimal levels for lots of reasons. Perhaps, the most important is that sailing a perfectly tuned and trimmed boat is more fun to sail and it distributes the loads on the boat as it was designed. But really, should perfection get in the way the good? In high stakes professional racing, yes perfection should be the goal. For the rest of us it is all a compromise. If the sheeting Angle is good for one sail in one set of conditions, it won't be good for another sail in another set of conditions. If I recall correctly the OP was going to install a short track or a single sheeting point, so it will almost always be in the wrong place. Build a sheeting system that is flexible and can accommodate a variety of conditions and different sails, sail the boat and enjoy it. Who cares if the optimal sheeting angle is 8° and the best you can do within reason is 12°? Go sail, come back to the dock and have a . Not looking for perfection but I certainly think there's value in knowing what might be "optimal" before I decide what compromises I might decide on. I get it that 8 Deg is a planning number. Not reality. I will find reality after applying my findings to the boat and adjust from there. I need my headsails to set well in 30 mph hard on the wind. I had a chance to fly the 80 at the end of last season from the existing fair leads. I haven't flown the 100 yet. If your fairleads are too far back, the foot will be tight and the leach will bow out too much and flutter. It could even twist off at the top too much. You won't get good camber across the foil and you'll have poor laminar flow. I can see how that might cause "pounding". If your fairleads are too far forward, the foot will be too loose and the leach will look better, but there will be too much camber causing over powering and poor angle of attack. She will heel to much, gain a bit of lee helm and lose pointing degrees. You might even get a feeling of "pumping" as she catches then spills air on a close reach while pitching in seas. In both cases it will look like you can't pull the sheet right enough.